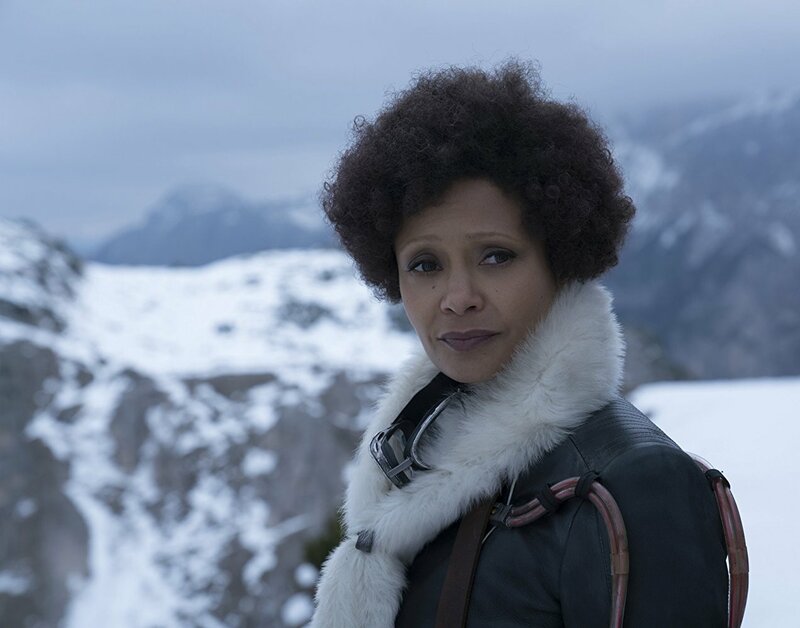 Tucked in before the original Star Wars trilogy, Solo: A Star Wars Story portrays the circumstances and actions that led to Han Solo being sympathetic to the cause of the Rebel Alliance. The film begins without the traditional Star Wars scroller, a heavy hint that the tone will be lighter and the plot less earnest than the main series of science fiction blockbusters. But it’s no Rogue One and while it’s satisfying to see how some of the main characters and space ships in A New Hope first met, there is not enough in the tale of escape, double crossing and heist to justify the 135 minute run time. 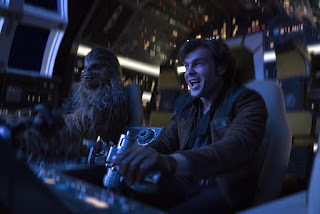 Han (played by Alden Ehrenreich) who as yet has no surname and girlfriend Qi’ra (Emilia Clarke) attempt to flee from the planet of Corellia. They are cruelly separated and years later bump into each other under very different circumstances (something which seems to happen with an improbable frequency in Star Wars films). There’s a girl to be saved, but she can look after herself. There’s a precious substance to be collected to pay a debt. There are locations with exotic music and dancing, snow, sand and tribal tents. There’s a robot with a feminine swagger and beautifully drawn penchant for promoting equal rights. At times John Powell’s orchestral score is overwhelming, burdening the onscreen action with stringy angst. Action sequences that are running out of room for manoeuvre simply skip forward to a few minutes, days or years later and continue on regardless. Ehrenreich has enough resemblance to Harrison Ford to link this younger man to the more familiar character. Clarke is fabulously hard to read as Qi’ra and creates a loveable yet cryptic character, one of a number of strong female roles. Thandie Newton excels as Val, a fellow bounty hunter who steps into harms way without a second thought. The plot is dogged by the ambiguous motivation of Han Solo which was always going to be an immutable conclusion given his role in Episode IV. The judicious tidying up of characters before the end only serves to highlight the unresolved ‘love interest’ that is left dangling and forces the conclusion that this tragic breadcrumb will be baked into a yet to be announced anthology film. At ninety minutes Solo: A Star Wars Story could have been a snappy Force-free tale tucked into the canon of that far, far away galaxy. Instead it lack charm and is a disappointing addition to the latterly improving Star Wars universe. Until the Empire visit your local area, you’ll find it in most local cinemas.